Dine on international cuisine at the Hilton Northampton hotel's Seasons Restaurant. Enjoy a pre-dinner drink in the Court Bar or coffee in Caffè Cino. Stay at the Hilton Northampton hotel, 15 minutes from Northampton attractions like Billing Aquadrome watersports center and 30 minutes from Silverstone racing circuit. Keep fit in the LivingWell Health Club or swim in the indoor pool. 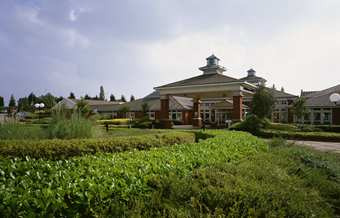 Contact Hilton Northampton directly or use our simple contact form.